Enjoy yoga like never before! Right on our private beachfront with a backdrop of the hills vast landcape, our yoga session is set within the nature of tranquility and fresh air. Our experienced instructor talks through your personal goals and custom designs a vitality of practice for the balance of your mind, body and soul. We offer and incorporate various style like vinyasa flow & yin yoga, and end with deep relaxation and meditation. 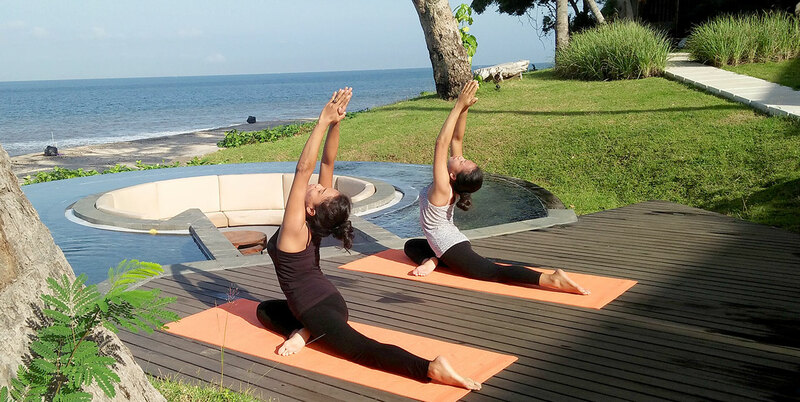 Come discover your inner and outer transformation in our beachfront private yoga sessions.